Not every time it is possible that people who are sharp brained do fair all time in life. This is not necessary as most of the times you have the luck of your stars while intelligence is hardly a part in success. This doesn’t mean we should stop working to get successful which is also an irresponsible and insensible thought. There are people who are less educated, not that smart, less intelligent but still doing fairly well in life with plenty of riches. Vastu says more than your intelligence there required various things in life which are: god’s grace, luck and helpful company of people. Karma is the significant force of life which says what you sow as you reap and no one can escape from karma. Divine grace is what required by every human for which it is important to meditate and perform good deeds. To befriend helpful people you have to be helpful and move with right attitude in life. 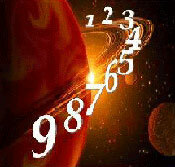 Luck is probably an essence of life and to get success it is important to do everything in accordance with Vastu. Grabbing right opportunity at the right time is what makes you lucky and to avail that one have to make things favourable at home and office. Vastu advises to deflect blocks at the home and office that blocks your way to your home. Trees, pole and wires etc are some of the blocks that should be dissolve to remove defects and get lucky in taking every opportunity.